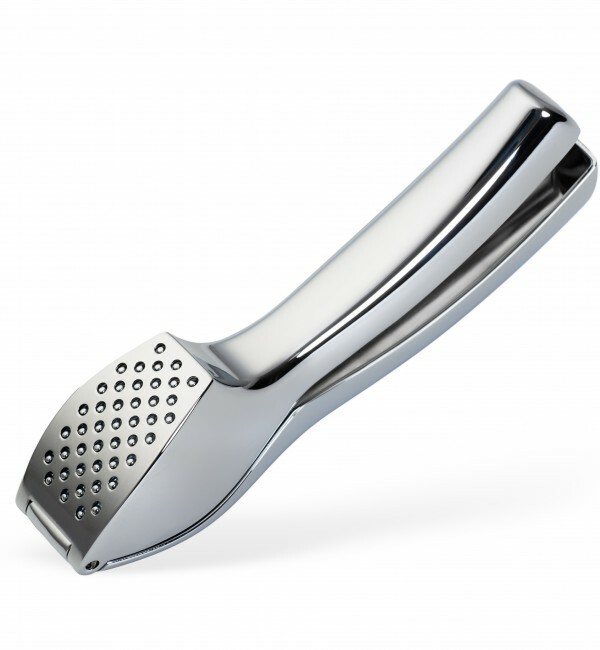 This KitchenPalz garlic press is hands down the best. Not only does it mince both peeled and unpeeled garlic, but it does it amazingly efficiently. Your garlic is not wasted as it squeezes it all out leaving a dry pulp behind. 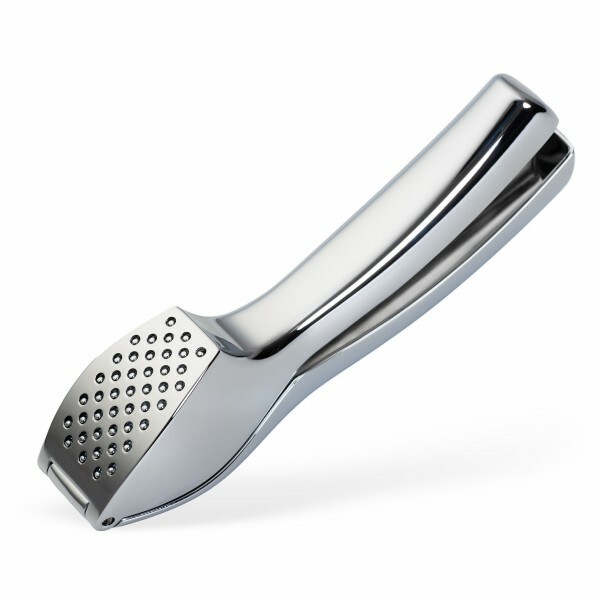 Ergonomically designed with curved handles to fit comfortably into the palm of your hand, the KitchenPalz garlic press is also engineered to require far less effort to use than other presses. It does not have a lot of unnecessary moving pieces, and clean-up is an absolute breeze. 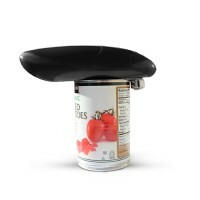 You won’t hesitate to use it for fear of the clean up required. Forget about a cleaning brush. A simple quick rinse under the tap and you are good to go!